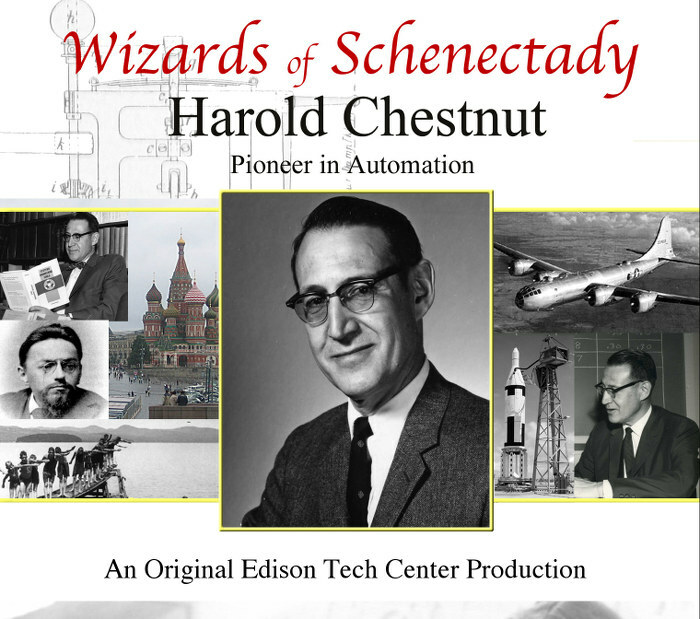 It was 9 years ago when the Edison Tech Center launched the Wizards of Schenectady Series. The series was the brainchild of renown local television personality Ernie Tetrault and others at the Edison. The idea was to launch a full-scale biographic documentary on each of the amazing inventors and leaders at General Electric. There were so many incredible untold stories that it made total sense to package this history into a format that everyone is familiar with. The name “Wizards” came from the historic description of Charles Proteus Steinmetz which was described as the “Wizard of Schenectady” by national newspapers. As the producer of the series one of the things I find most fascinating about the biographies was how each one touched on key events in US history. From the formation of RCA to the Cold War each person we covered played a role. The series is great in that it shows how great technical advances in US history were made thanks to people, people with families, hobbies and real lives that you can connect with. While the national media loves to grasp onto larger-than-life personas like Thomas Edison and Nikola Tesla, the reality was that innovations mostly happened from those where not flamboyant and self-promoting. The Wizards of Schenectady Series is about ordinary people in special circumstances, and thanks to educational institutions and companies with strong infrastructure they were empowered to create, and given all the tools and people they needed to make it happen. The first in the series we worked on in 2007 was C. Guy Suits and his Flying Machine. The story is more about his engineering and leadership skills than a ‘flying machine’, but his float plane hobby is certainly covered in the show. Ernie Tetrault and Jack Aernecke lent their skills in television production while local people who worked with Suits told the story. 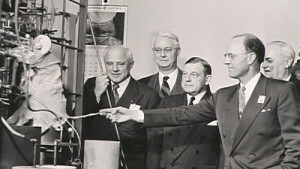 Suits ran the GE Research Lab during the exciting post war period as innovations of the modern world changed our lives. Suits, like many engineers had a knack for not just physics, but physical crafts like wood working, oriental rug repair, boomerang construction and the outdoors. Suits was respected by the legendary engineers working under him as a leader. His leadership and management experience during a transition period helped found the GE Global Research Center as we know it today. The Wizards of Schenectady: C. Guy Suits and his Flying Machine was shown at the Electric City Film Fest where it won first place in the documentary category. The second piece in our series highlighted another engineer from a very different time in history. Carl H. Rosner’s story is one that includes two parts, the first being his survival of the Holocaust, and the second part being of his work at General Electric and founding Intermagnetics General Corporation. Rosner’s story is one which is inspiring for engineers as it shows how persistence and innovation lead to life-saving technology. Rosner and his various teams over the years specialized in superconducting technology which is a really fascinating area! The Edison Tech Center’s production Wizards of Schenectady: Carl H. Rosner Pioneer in Superconductors has been shown many times to future generations of children thanks to the talks organized by Mr. Rosner himself and the Holocaust Survivors and Friends Education Center. This documentary has been shown at the Electric City Film Festival and the Ballston Spa Film Festival. Parts of this documentary have been published and viewed by hundreds of thousands. The story of Harold Chestnut is one that touches on everything from early mechanical computers to broad political policy. We find the subject of systems engineering to be amazing as this area which “Hal” Chestnut contributed to is applicable in everything in our lives. As a control and systems engineer Mr Chestnut advanced many technologies from jet engines to the NASA moon efforts in the 60s. He was not just a great engineer but a natural leader. Chestnut helped with organization of the IEEE, IFAC and other groups. For this video we interviewed the world’s leading control engineers for their commentary on the life and times of Mr. Chestnut. From Seoul to Moscow to Schenectady we investigated the impact Hal Chestnut had on engineering. 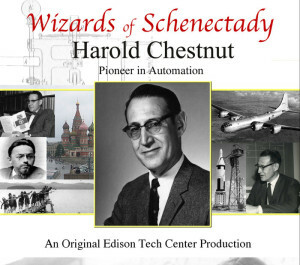 The Wizards of Schenectady: Harold Chestnut Pioneer in Automation has been shown to engineers around the globe and a rare biography for someone working his field. 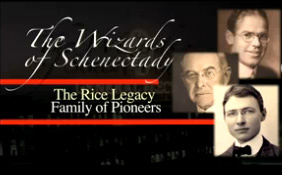 Wizards of Schenectady: The Rice Legacy covers three major figures in recent technological history. The documentary starts off with E.W. Rice Jr. who was not only a contributor to early electric power history, but an important leader in General Electric at a critical time. E.W. Rice’s life is interlinked with many important people his age including Elihu Thomson, Thomas Edison and C.P. Steinmetz. What’s great about this episode is that you learn a lot about the early history of electricity. Expert Wise helps tell the story of Rice and the times. Chester W. Rice was an innovator who worked at the GE Research Lab along side other legends like Langmuir and Steinmetz. C.W. Rice is known for contributions in the areas of acoustics and mechanical engineering. Martin Rice was a figure on the publicity side of the industry, working for GE’s broadcast arm of the business. The Rice documentary took a few years to research and produce and paints a unique picture of the fascinating era of the early 20th century. One engineer and innovator who stuck out above the rest is Nancy D. Fitzroy. We decided to cover her life in the Wizard’s series in 2009 after an interview conducted by Ernie Tetrault. Nancy is a mechanical engineer specializing in heat transfer. Her specialty was fun because it was applied to many diverse types of projects including the heat tiles on the space shuttle and the first nuclear submarines. Nancy was the first woman president of the American Society of Mechanical Engineers and has been a role model to other women. This documentary features commentary from well-known engineers and physicists. One great documentary which is not part of the Wizard’s series but predated the series is Langmuir’s World. This show does a great job of condensing the life of legendary engineer and physicist Irving Langmuir. Irving Langmuir was a driving force in the GE Research Lab and an important part of the world’s physics community. This story covers the many contributions of Langmuir including the invention of a much more efficient light bulb, and it covers his personal life and hobbies. Excerpts from the Wizards of Schenectady Series have been published online and reached over a million viewers. The full episodes are available from the Edison Tech Center on DVD. Contact us and make a tax deductible payment of $30 to our Paypal account and we will send you an episode of your choosing. Proceeds go to support historical preservation of artifacts and production of educational media which reaches many young people each day. Eight years ago the Edison Tech Center premiered the award-winning documentary on engineer Carl H. Rosner at the Electric City Film Fest. Recently we have re-released the documentary in widescreen SD format for DVD and HD format online. 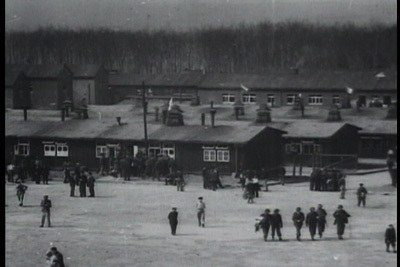 This touching documentary features the life of entrepreneur and superconductor expert Carl Rosner as he survives wartime Germany, Buchenwald concentration camp and goes on to found a successful and innovative company which finds its niche in MRIs. 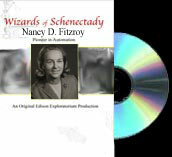 This biography is part of the Wizards of Schenectady series and has renowned voice over artist Jack Aernecke take us through the story. 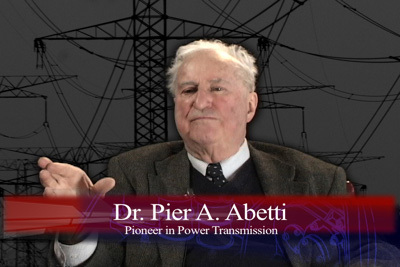 The documentary features interviews with other great engineers like Pier Abetti, Howard Hart, Gary Morrow and more. Mr. Rosner has been working with the Holocaust Friends and Survivors Education Center in Albany to share his story again and again to children and adults. This work is vital to preserving the memory and lessons learned from the Holocaust and World War II. In addition to the story of loss and deprivation is the story of hope and building a new life. Mr. Rosner has worked with some of the best engineers in superconducting technology history to create life-saving machines. The story of Intermagnetics General spinning off from General Electric is a great story as it was rare for a spin-off to survive and grow to become a power in industry. If you live in the Albany-Schenectady region, we invite you to check out the Holocaust Survivors & Friends Education Center for film showings and other events. As the producer of the documentary and a young person, I was moved by the experience of reviewing original films and testimony from the Holocaust. I believe that every young person from every ethnic background should learn about this history. Mr. Rosner’s documentary along with other films and presentations can help widen our horizon of understanding about how hatred can lead to genocide and the bravery of those who resisted and saved others.